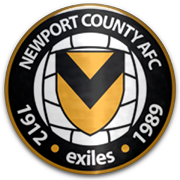 Needing a victory to stay in Division Three, the Town travel to Newport, where a 1-0 defeat sends them down to the fourth tier for the first time. 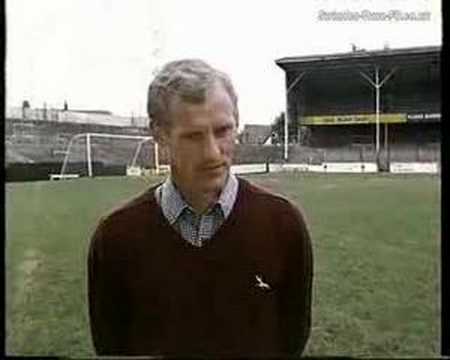 With the Town relegated to the bottom tier for the first time, the club make cutbacks on playing staff, and John Trollope considers his position as manager. 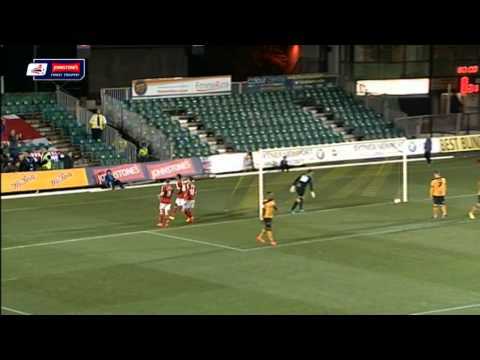 Headed goals from Jimmy Quinn and Tim Parkin, plus a late strike from sub Dave Bamber, give Swindon a comfortable 3-0 win over bottom-of-the-table Newport. 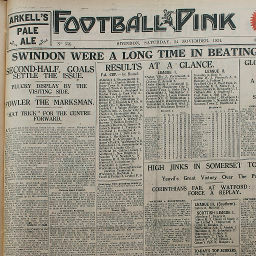 Click to view a newspaper report of Swindon's 4-4 draw against Newport County in the 1930-1931 season. 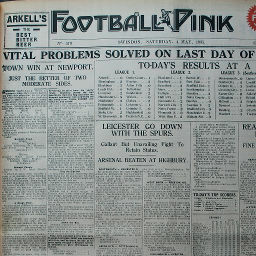 Click to view a newspaper report of Swindon's 1-3 defeat at Newport County in the 1930-1931 season. 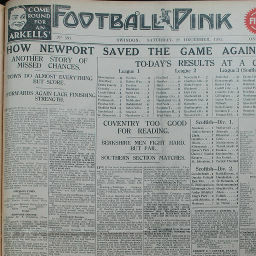 Click to view a newspaper report of Swindon's 2-1 win at Newport County in the 1933-1934 season. 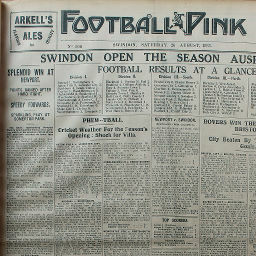 Click to view a newspaper report of Swindon's 1-1 draw against Newport County in the 1933-1934 season. 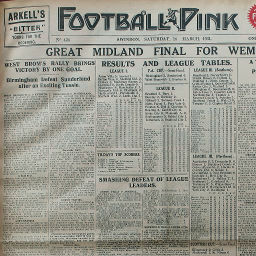 Click to view a newspaper report of Swindon's 4-0 win against Newport County in the 1934-1935 season. 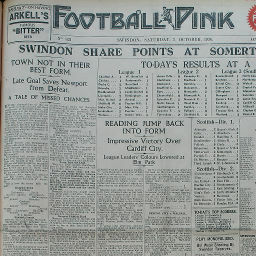 Click to view a newspaper report of Swindon's 0-0 draw against Newport County in the 1934-1935 season. 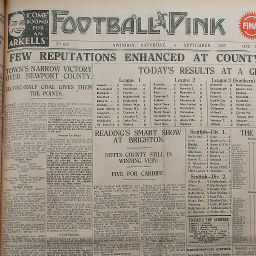 Click to view a newspaper report of Swindon's 2-1 win at Newport County in the 1934-1935 season. 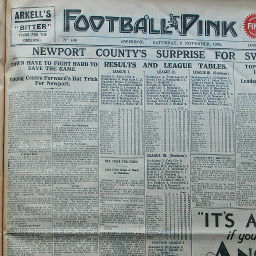 Click to view a newspaper report of Swindon's 2-2 draw at Newport County in the 1935-1936 season. 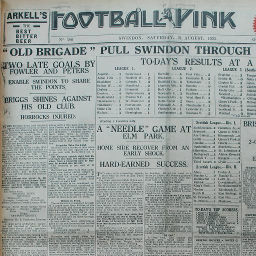 Click to view a newspaper report of Swindon's 1-1 draw against Newport County in the 1935-1936 season. 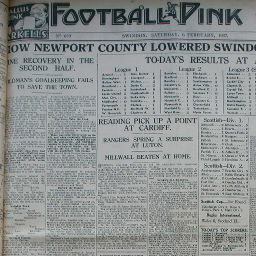 Click to view a newspaper report of Swindon's 1-1 draw at Newport County in the 1936-1937 season. 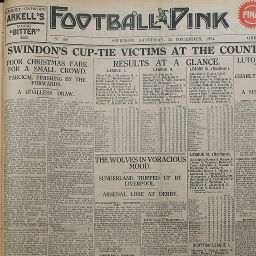 Click to view a newspaper report of Swindon's 1-2 defeat against Newport County in the 1936-1937 season. 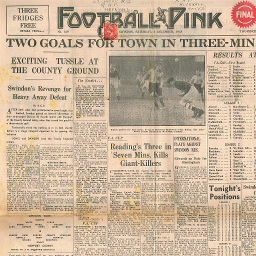 Click to view a newspaper report of Swindon's 3-2 win against Newport County in the 1937-1938 season. 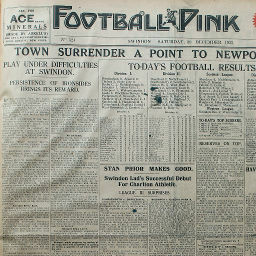 Click to view a newspaper report of Swindon's 0-2 defeat at Newport County in the 1937-1938 season. 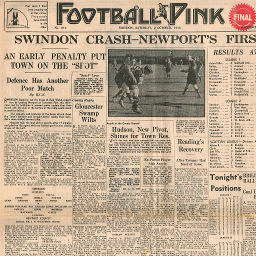 Click to view a newspaper report of Swindon's 1-2 defeat against Newport County in the 1947-1948 season. 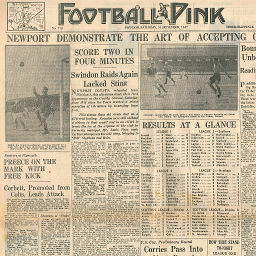 Click to view a newspaper report of Swindon's 1-4 defeat at Newport County in the 1948-1949 season. 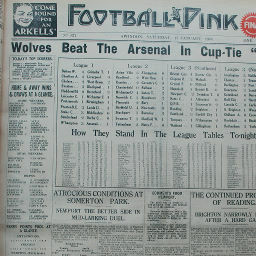 Click to view a newspaper report of Swindon's 5-2 win against Newport County in the 1948-1949 season. 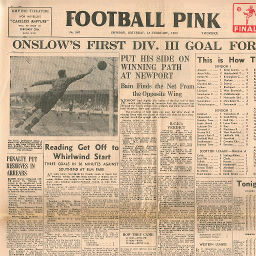 Click to view a newspaper report of Swindon's 1-1 draw against Newport County in the 1949-1950 season. 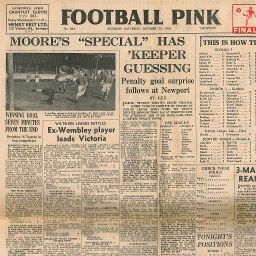 Click to view a newspaper report of Swindon's 2-1 win at Newport County in the 1949-1950 season. 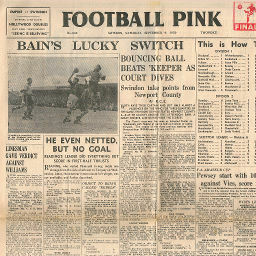 Click to view a newspaper report of Swindon's 2-0 win against Newport County in the 1950-1951 season. 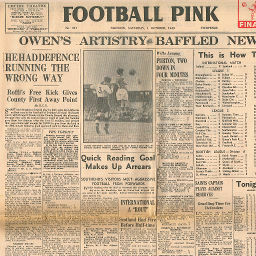 Click to view a newspaper report of Swindon's 1-2 defeat at Newport County in the 1950-1951 season. 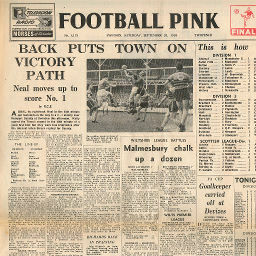 Click to view a newspaper report of Swindon's 1-1 draw against Newport County in the 1951-1952 season. 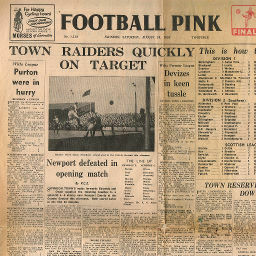 Click to view a newspaper report of Swindon's 0-0 draw at Newport County in the 1951-1952 season. 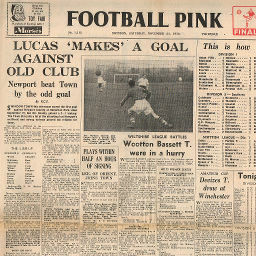 Click to view a newspaper report of Swindon's 0-3 defeat at Newport County in the 1952-1953 season. 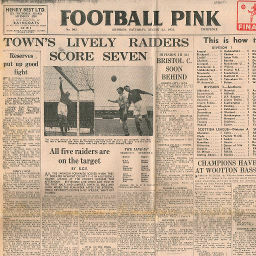 Click to view a newspaper report of Swindon's 7-1 win against Newport County in the 1953-1954 season. 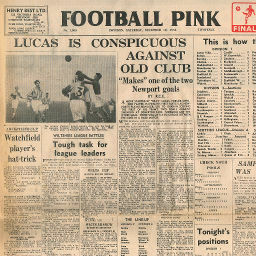 Click to view a newspaper report of Swindon's 0-2 defeat at Newport County in the 1953-1954 season. Saturday, September 24, 1955 MICKLEWRIGHT STRIKES IN 12 MIN. 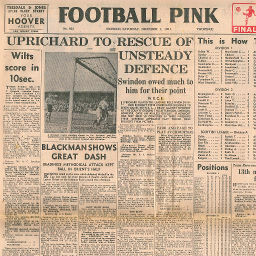 Click to view a newspaper report of Swindon's 1-2 defeat against Newport County in the 1955-1956 season. 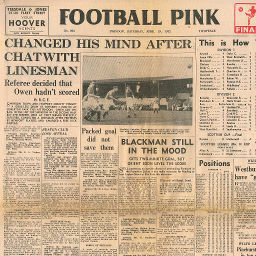 Click to view a newspaper report of Swindon's 1-2 defeat at Newport County in the 1956-1957 season. 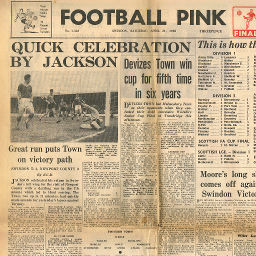 Click to view a newspaper report of Swindon's 1-0 win against Newport County in the 1956-1957 season. 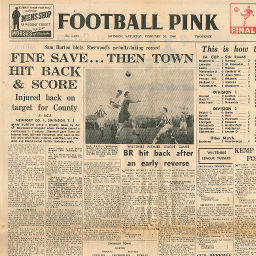 Click to view a newspaper report of Swindon's 4-0 win against Newport County in the 1957-1958 season. 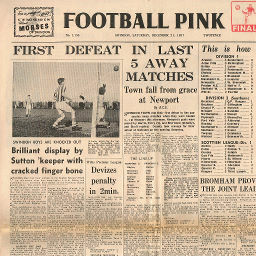 Click to view a newspaper report of Swindon's 1-4 defeat at Newport County in the 1957-1958 season. 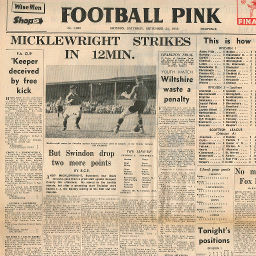 Click to view a newspaper report of Swindon's 2-1 win against Newport County in the 1958-1959 season. 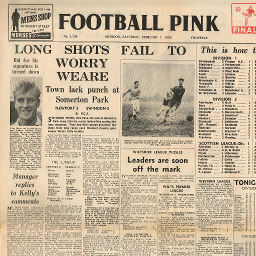 Click to view a newspaper report of Swindon's 0-3 defeat at Newport County in the 1958-1959 season. 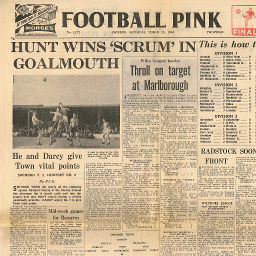 Click to view a newspaper report of Swindon's 1-0 win against Newport County in the 1959-1960 season. 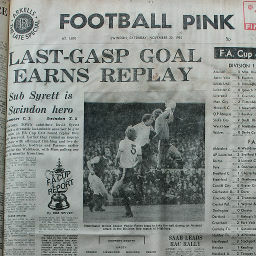 Click to view a newspaper report of Swindon's 3-1 win at Newport County in the 1959-1960 season. 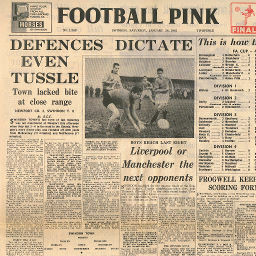 Click to view a newspaper report of Swindon's 0-2 defeat at Newport County in the 1960-1961 season. 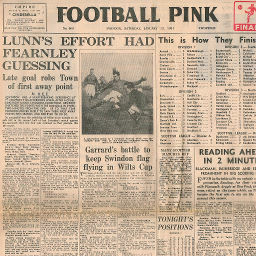 Click to view a newspaper report of Swindon's 2-0 win against Newport County in the 1960-1961 season. 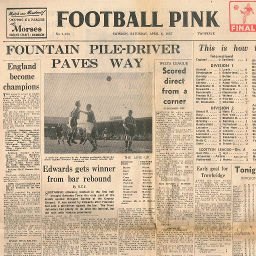 Click to view a newspaper report of Swindon's 2-2 draw at Newport County in the 1961-1962 season. 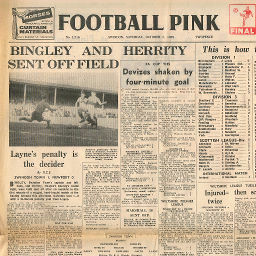 Click to view a newspaper report of Swindon's 3-0 win against Newport County in the 1961-1962 season. 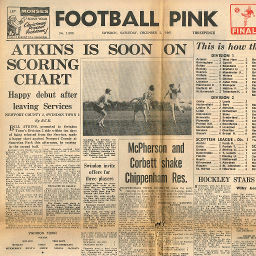 Click to view a newspaper report of Swindon's 2-2 draw at Newport County in the 1975-1976 season.